Dave Dove is a trombone improvisor from Houston. Since 1997 he has been a teacher at the MECA arts community center where he has been working on a new approach to creative arts education for young people. As director of the Pauline Oliveros Foundation Houston (http://www.pofinc.org/houston), he has been able to further develop this work and bring some of the world’s great contemporary musicians into contact with Houston’s inner-city youth. Dove has played with many regional, national, and international musicians, such as: Susan Alcorn, Joe McPhee, Alvin Fielder, Pauline Oliveros, John Butcher, Eugene Chadbourne, Peter Kowald, Nick Hennies, Kurt Newman, Joelle Leandre, Maria Chavez, Jason Jackson, Juan Garcia, Matt Ingalls, Paul Guilford, Mike Bullock, Heather Murray, Vick Rawlings, Jack Wright, Tatsuya Nakatani and Michael Greiner. Drummer Chris Cogburn is an active performer and organizer within Austin’s creative music community. The founder of the Creative Music Workshop, Cogburn has previously hosted Austin performances by International improvisors, always in direct collaboration with local artists. Beginning in the summer of 2003, the Creative Music Workshop has hosted an annual festival of improvised music – the No Idea Festival – showcasing a handful of Texas’ premiere creative musicians in collaboration with improvisors from around the U.S. and Europe. A 2-cd set documenting this year’s festival (2004) was released in November 2004 on Cogburn’s own ten pounds to the sound record/dvd label. 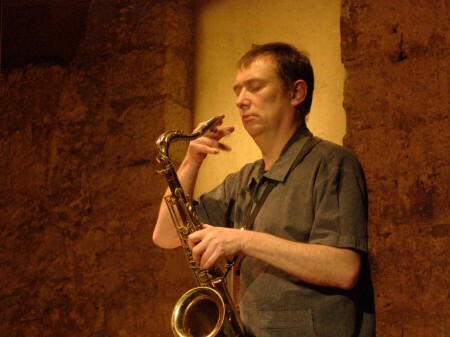 Since 2000 he has worked intimately with Dave Dove, facilitating workshops on improvised music and art. Their work together has led them around Texas, New York and Mexico, working in contexts as diverse as inner city community centers, homeless shelters, battered women’s shelters, public and private high schools, dance studios, a church and Pauline Oliveros’ Deep Listening Space – where they held a co-residency in the fall of 2002. Working solo and with others, Cogburn has held workshops in the Northwest and Austin area high schools and community centers. The last few years has seen Chris performing with national and international improvisers including : Joe McPhee, John Butcher, Joelle Leandre, Alvin Fielder, Marc Whitecage, Matt Ingalls, Mike Bullock, Sabine Vogel, Sean Meehan, Susan Alcorn, Maria Chavez, Michael Griener, Bryan Eubanks and Tatsuya Nakatani. He has, along with Joe McPhee and Dave Dove, a CD slated for release on Pauline Oliveros’ Deep Listening label. He is also a member of the improvising trio Perruque with Kurt Newman (amplified guitar) and Aaron Tucker (clown).